The Anna Delvey Netflix series: how the "fake heiress" fooled New York. Anna Sorokin convinced everyone she was a wealthy socialite. But she was living a lie. When the myth that was Anna Delvey unravelled, it was a fall from orchestrated grace of epic proportions. Her life went from private jets, designer clothing and lavish nights out, to declined credit cards, irate hotel security personnel, and now, charges of grand larceny and a potential 15-year jail sentence. Anna Delvey, as she was known by Manhattan’s social elite, had successfully infiltrated an enviable circle of restauranteurs, celebrities, fashion designers and socialites, conning businesses, acquaintances and banks out of hundreds of thousands of dollars in the process. People believed she was a millionaire German heiress and aspiring businesswoman, set to build a cultural centre akin to Soho House – a space for wealthy young artists to create, socialise and party. And when she fronted court in black Miu Miu dress, black choker and wide-rimmed glasses last week – a picture of glamour despite being held in Rikers Island jail while awaiting trial – it’s clear to see how she was able to get away with it. 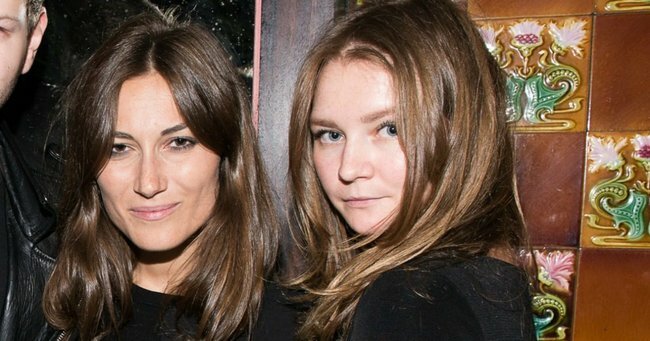 So, who is Anna Sorokin, the grifter behind the Dom Perignon-swilling “It” girl, and how did she so expertly fool New York? As reported by Rolling Stone, she was the daughter of a Russian truck driver, Sorokin and her family moved to Germany in 2007. She moved to London after graduating from high school in 2011, briefly studying at Central Saint Martins College before dropping out and moving back to Berlin. This is when she changed her name to Anna Delvey and took up a string of internships. Her first was at a London PR firm, then a high-end European art magazine in Paris called Purple. When she moved to New York in 2016, she remade herself as a socialite, telling people she was a German heiress with a trust fund and that she was planning to build a “dynamic visual-arts centre dedicated to contemporary art”. A story so familiar in the opulent city, little questioned it. It was, it seems, the way in which she played the part of moneyed young socialite to near-perfection that allowed her to weave her web of deceit – an air of nonchalance, frivolity with money, and a knowledge of the finer things that seemed to run deep. They didn’t need to know where her money came from, just that she had it. In a celebrated piece published in The Cut last year, it seems abundantly clear that no one had ever tried particularly hard to get to the bottom of her source of seemingly endless wealth. Wealth that allowed her to stay in luxury hotels for months on end, flit around Europe in a style most can only dream of, and dine out every evening at New York’s finest eateries. Not to mention all doing so dressed head to toe in designer finery. “I thought she had family money,” Jayma Cardoso, one of the owners of the Surf Lodge in Montauk, told The Cut. Another friend was certain Delvey’s father was a diplomat to Russia. Another swore he was an oil-industry titan. “As far as I knew, her family was the Delvey family that is big in antiques in Germany,” said another acquaintance, a millionaire tech CEO. She had, as her former acquaintances attest, truly embodied the archetype of a woman from family money. She would lavish her friends with expensive presents, pick up the bill for meals and parties, tip $100 notes to Uber drivers and buy expensive gifts for the employees at the various hotels where she lived. Until she couldn’t keep up the act any longer. It was in 2017 that Sorokin’s ruse started to fall apart. Stories began to circulate of embarrassing dine-and-dash instances, friends were being phoned by restaurants chasing her details, and she had been reduced to couch surfing – apparently, in a bizarre twist, squatting rent-free at fellow fraudster, Fyre Festival promoter Billy McFarland’s Magnises townhouse for four months, the Evening Standard reports. “She had Balenciaga bags and clothes everywhere. The company wound up moving into a townhouse. That’s the only way they got her out! She had been there for four months!” a source told Page Six. Soon enough, the charges came. She had charges pressed by two swanky NYC hotels; Beekman and the W, after she checked out without paying her bills. She had also allegedly attempted to skip out on the bill at Le Parker Meridien, a fine dining restaurant in midtown Manhattan, which led to her being charged with three counts of misdemeanor theft of services. But further investigation found that she had allegedly deposited hundreds of thousands of dollars of bad checks and forged bank statements in a quest for a $66 million loan. She had also swindled her friend – or target – Vanity Fair employee Rachel Deloache Williams, out of almost $99,000 on a trip to Morocco. Deloache Williams penned an essay recounting her friendship with Delvey, the “magician of Manhattan”. “Usually wearing a Supreme brand hoodie, workout pants, and sneakers, she embodied a lazy sort of luxury,” she described. During their holiday together, Delvey had nonchalantly offered to cover Deloache Williams’ flights, the hotel, and expenses. She reserved a $7,000/night private riad, a traditional Moroccan villa. But soon enough, they were being cornered on the hotel grounds, told the credit card the room had been booked with had declined, and that staff from the villa had been let go due to the kerfuffle. Deloache Williams’ American Express card was eventually charged with more than her annual income, “I’ll wire you 70,000 [U.S.D. ], that way everything’s covered,” Delvey had promised. While the funds never came, the truth about Delvey soon did. She was arrested in October 2017, reportedly hiding out in the popular Malibu rehab centre, Passages, according to the Evening Standard. Now, she’s become somewhat of an icon, a twisted story of self-made success. In the first few days of her trial, her chic courtroom look went viral, and her legal defence – aware of the public’s identification with her, are seeming to perpetuate the Gatsby-like narrative of a woman vying to fit in with a social circle which would otherwise reject her. In his opening statement, Delvey’s lawyer Todd Spodek quoted Frank Sinatra; “Anna had to kick down the door to get her chance at life. Just like Sinatra had to do it his way, Anna had to do it her way”. Anna Sorokin at the start of her trial. Image: Getty. 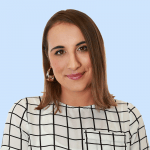 He argued that what Delvey did was no different than what most self-made Instagram celebrities do: “In her world this is what her social circle did. Everyone’s life was perfectly curated for social media. People were fake. People were phony. And money was made on hype alone". Following the success of the Fyre Festival documentary, Netflix is planning an Anna Delvey series with Shonda Rhimes based on The Cut&apos;s deep dive into the Soho scammer.